Notre Dame hasn’t had a freshman start the season opener since 2002 with forward Torin Francis made his collegiate debut. 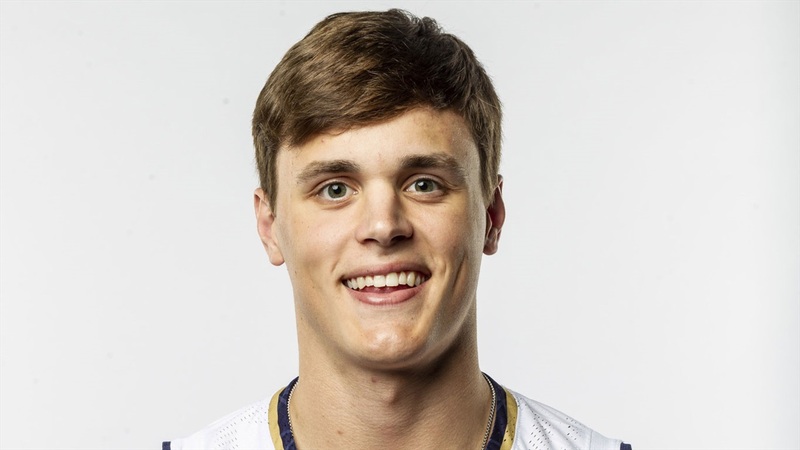 On Tuesday night, freshman guard Robby Carmody got the nod as the Irish hosted the University of Illinois-Chicago in the Gotham Classic. “It was an amazing experience,” stated Carmody following the 84-67 Irish win. “I don’t know if you could see me with the lights off, but I couldn’t stop smiling. Brey had been battling back and forth with his fifth starter and settled on Carmody, but he also admitted he had second thoughts. Carmody didn’t know he was starting until Monday’s practice when he saw the scouting report, and the nerves immediately kicked in for the 6-foot-4, 204-pounder. It didn’t take long for Carmody to lose his nerves as he stepped in front of a UIC player to draw a charge on the game’s first possession. The momentum helped Carmody score 11 points on 3-for-5 shooting to go with two rebounds and two assists in just 14 minutes. Carmody would have probably played a few more minutes but left the game with a shoulder injury, which was addressed following the win.